The Contouring Stick makes contouring easy, allowing you to sculpt light and shadows on the face like a makeup pro. Its buildable, creamy texture produces a powdery finish, blending seamlessly onto the skin. It can be applied with the fingers, a sponge, or a brush, resulting in a flawless look and redefined features. The lighter shade on one end of the stick should be a tone lighter than your skin tone, and the darker shade on the other end should be two shades darker than your skin tone. Use the included instruction guide to highlight and contour like a pro. 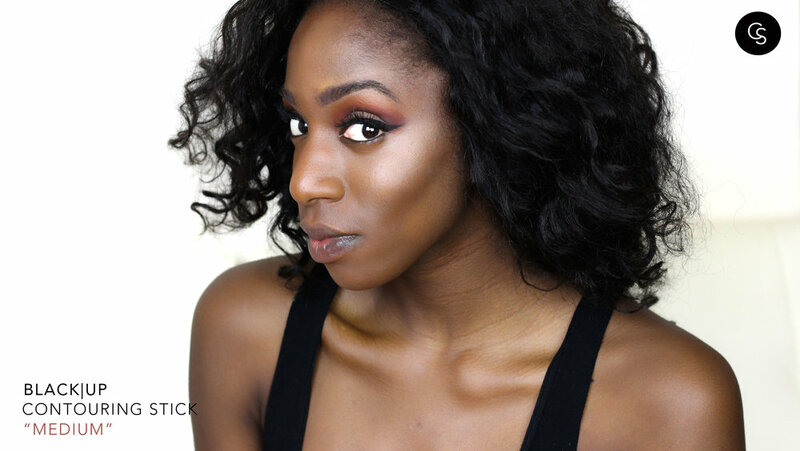 Black|Up Contouring sticks are one of the best items I have in my makeup bag. “03” provides the perfect cream shades to highlight and contour my face, not to mention they are super blendable and have a beautiful finish. The double sided stick makes them great for traveling, or for makeup kits and they have an amazing variety of shades.